How to Remove Screen Savers? A screen saver is a program that will display an image or animation on the monitor if the computer remains inactive for a period of time. There are various screen savers installed in the computer, if you don’d like some of them, you can delete them easily. Here are the detailed steps. Step Two: Click the “Remove a program” link and there will pop up a window. Step Three: There are a list of programs. Scroll through all the programs until you locate the name of the screen saver you want to delete. 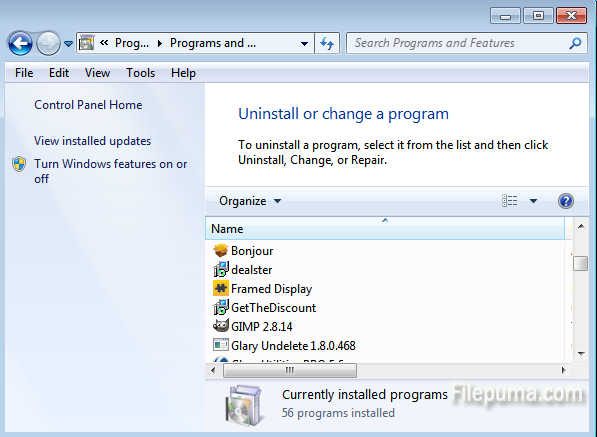 Step Four: Select the program and right-click on it to select “Uninstall” to remove this program.